My profound apologies for not being able to attend Punarnava Ayurveda Trust's Fifth Ayurveda Conference at vaidyagrama which I have been honoured to support from its inception. Circumstances beyond my control that relate to family affairs and the pressing work of launching Wise Earth Ayurveda's Online education prevent me from making this journey to you. I know you will have a truly remarkable vaidyagrama experience - a holy event with some of the more remarkable minds of Ayurveda. 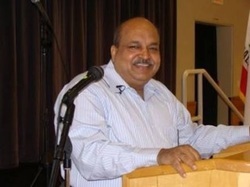 Dr Vasant Dattatray Lad is an American author, Ayurvedic physician, professor and director of the Ayurvedic Institute in Albuquerque, New Mexico. Lad is the author of numerous articles and many books on the subject of Ayurvedic Medicine. He is considered one of the foremost experts on the subject in the United States. He teaches the Ayurvedic Studies Programs, Level 1 and 2 as well as an advanced Gurukula program in Pune, India each year. Vasant Lad also travels throughout the world, consulting privately and giving seminars on Ayurveda, its history, theory, principles and practical applications. Dr. Robert E. Svoboda is the first Westerner ever to graduate from a college of Ayurveda and be licensed to practice Ayurveda in India. During and after his formal Ayurvedic training Robert was tutored in Ayurveda, Yoga, Jyotish, Tantra and other forms of classical Indian lore by his mentor, the Aghori Vimalananda. After living in India for more than a decade, he has continued to spend much of each year there and in other lands. 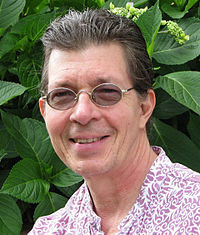 The author of a dozen books, he serves as Adjunct Faculty for the Ayurvedic Institute in Albuquerque and for Bastyr University in Seattle. “Ayurveda is a science of reality as that reality is expressed in embodied life." Dr. N. Gopalakrishnan is a scientist working for Council of Scientific & Industrial Research (CSIR), India. He is famous for his lectures aimed at rekindling the Scientific heritage of India. He along with a few other Scholars, founded Indian Institute of Scientific Heritage (IISH) in 1999. Dr. Gopalakrishnan holds a number of academic qualifications, which includes Masters in Pharmaceutical Chemistry, Journalism, Industrial Sociology and D.Litt in Sanskrit. He has earned accolades for studying Indian Scientific Heritage, for this is his area of passion. An avid learner & orator, Dr. Gopalakrishnan travels around the world spreading the message that there is a distinct link between Indian heritage and science and there are indisputable scientific explanations to what we practise as our heritage. Sri P.R. 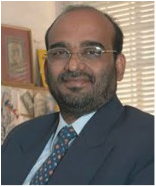 Krishnakumar, son of the illustrious Rama Variar, is the head of the AVP group of institutions. Having widely traveled in India and abroad and possessing a vision as broad as his father, he has dedicated his life to the promotion of Indian science, art and culture and in particular Ayurveda. Well versed in Ayurveda, Indian architecture, astrology, philosophy and other allied subjects, Sri Krishnakumar is on the advisory board of several government and non - governmental organizations involved in the propagation of Ayurveda. 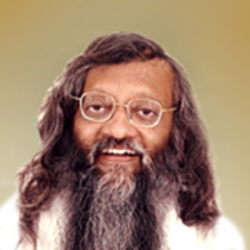 He was instrumental in bringing Ayurveda to the attention of the World Health Organization (WHO). Dr. Girish Momaya, The Netherlands. Dr Girish Momaya is a director of the International Maharishi AyurVeda Foundation—The Netherlands, and of Maharishi AyurVeda Products Europe B.V., a Dutch company manufacturing and distributing Ayurvedic herbal health food supplements. He is also a director of Maharishi European Research University, a Dutch foundation providing training and services in the fields of education, health care and social well-being. Dr Momaya spent many years working directly under the guidance of Maharishi Mahesh Yogi, the great scientist of consciousness and Founder of the Transcendental Meditation Programme. He received extensive instruction and training from Maharishi in all aspects of Vedic Science, including special focus on Ayurveda. Working with many great Ayurvedic physicians and scholars, Maharishi established Ayurveda as the foundation of his worldwide initiative to create a disease-free society. Dr Momaya will discuss how Maharishi’s insights into the structure of Veda inspired the remarkable discovery, by Dr Tony Nader MD PhD (now Maharaja Adhiraj Rajaram), of a precise correspondence between the structures and functions of human physiology and the Totality of Natural Law contained in the Veda and Vedic Literature. Myra Lewin has studied and taught Yoga, Ayurveda, nutrition, meditation, and energy management since the early 1990s. 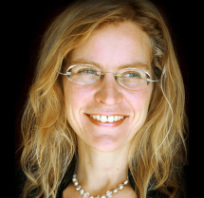 Her studies and teaching come primarily from the Krishnamacharya lineage. Myra has a Certificate of Advanced Clinical Study in Ayurveda, through the Practitioner Training Program with Dr. Sunil Joshi at Vinayak Ayurveda Chikitsalaya, Nagpur. Previously, Myra had a diverse career , and through Yoga and Ayurveda, Myra obtained complete healing from life-threatening diseases and has since guided many people from destructive habits to fulfilled and vital living. Now with over 20,000 hours of teaching experience working with all ages and levels, Myra is an ERYT500 with Yoga Alliance, holds a 500 hour certificate from International Yoga Studies, and is a member of the International Association of Yoga Therapists. For over 10 years, Myra has conducted teacher trainings emphasizing a harmonized approach to Yoga and Ayurveda. 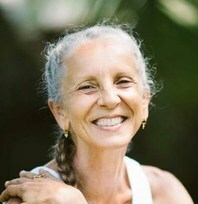 Hale Pule, her Yoga Alliance registered school, is located on the island of Kauai in Hawaii. Myra offers individual counseling, meditation retreats, teacher-trainings, workshops, and conference presentations around the globe. She is also a mediator, minister in The Church of Aesclepion Healing, organic farmer, and Ayurvedic cook. She works with people in any stage of life, including the elderly and those recovering from addiction. Her in-depth knowledge of human anatomy, physiology and psychology enables her to approach people at their level, encouraging the integration of healthy balanced practices as a foundation for life. "Ayurveda and Yoga together, for effective healing from afflictions of life"
More about her presentation along with Dr Robert Svoboda. Sri V. Vasudevan is a man of immense knowledge in various Vedic disciplines like Sanskrit Literature (Sahityam), Logic (Tarka), Philosophy (Vedanta), Ayurveda, Yoga and martial art of Kerala – Kalaripayatu. Shri. Vasudevan has a deep insight in all these wonderful sciences and has a very special gift in imparting his knowledge in an ideal way. His main aim is to preserve Ayurveda, Yoga and all the other Indian sciences and philosophies in their true form. He was engaged in teaching for over 15 years in the Ayurveda College - Coimbatore, affiliated to Dr. M.G.R Medical University, Chennai - South India. Since 1990, he has been the Course Director for the courses in Ayurveda and Yoga for foreign nationals at Arsha Yoga Vidya Peetam Trust. He has a remarkable experience of 25 years in teaching and practicing. 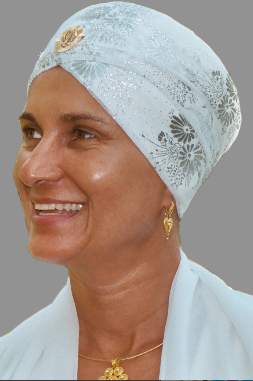 Shakta Kaur owns Kundalini Yoga in the Loop (KYL), a yoga center based in Chicago, Illinois, USA. She teaches Kundalini Yoga and Meditation as taught by Yogi Bhajan®, Breathwalk® (walking meditation), and Yoga Teacher Training courses both in the USA and internationally. From 2004-2008 she served on the Board of Directors of the USA’s Yoga Alliance (YA) in the capacities of Secretary and Chair of the Board. She also served as YA's Interim CEO for eight months. Shakta teaches a tele-class series called 'The Business of Yoga: Teach More, Earn More, Serve More' that is popular with yogis from all traditions. She has produced two DVDs--‘The Lunar Woman’ and ‘The Invincible Woman’--reminding us to forever embrace the beauty and power of women in the world. In 1987 she founded Women in Franchising, Inc. (WIF) and in 1993, the American Franchisee Association (AFA), a 501(c) 6 non-profit organization. Rose Baudin has studied and practiced yoga for 30 years and has taught for 20. She met her mentor Swami Gauribala in Sri Lanka in 1971, and was initiated into the Parampara in 1984. During the 16 years she lived in India , she was instructed by masters in the various schools of yoga: Integral, Iyengar, Vini, & Astanga as well as extensive meditation experience under the guidance of S.N. Goenka (Vipassana), Zen Master Hogen-san Yamahata, (Soto), and Sayadaw U Janaka (Satipatthana Insight Meditation). Since 1986, Rose has been based in Australia teaching yoga classes & weekend meditation retreats, as well as instructing and lecturing at Yoga Arts, an international school for teacher training. She has been conducting yoga intensives, residential retreats and seminars internationally for the past 11 years. 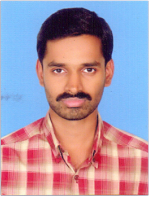 Dr. T. S. Krishnakumar is a graduate from the Coimbatore Ayurveda College under the Madras University. He then completed his post graduation in Trivandrum Ayurveda College. He was initiated in traditional Rasasastra by a renowned guru in the lineage of Chattambi Swamikal; he was also initiated into the Sreevidya Sampradaya of Tantrism of Bhaskararaya lineage and is a practitioner since 1992. He has been an Ayurveda practitioner for more than 2 decades now and has presented papers at several national and international forums. 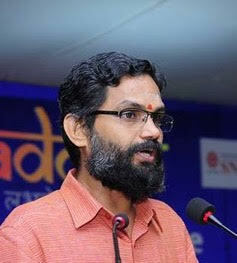 He is presently working as a professor in rasasastra in Parassinikadavu Ayurveda College in Kannur, Kerala. 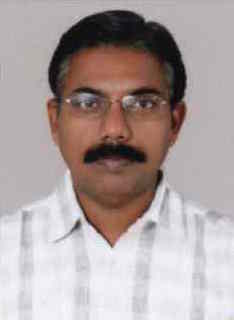 Dr. Rama Prasad (B.A.M.S., C.A.C.H.) teaches, practices and promotes Ayurveda internationally for the past 25 years, centred in Sydney, Australia. His training style is an absorbing blend of pure devotion with a strong sense of logic. He has organised and has been part of over 2 dozen international ayurveda and yoga conferences in India and Australia. He has identified around 2000 classical Ayurveda herbs in Australia, including many species which are endangered in India. He promotes the Ayurveda as a science with common sense in Australia. In his Sydney, Brisbane and Melbourne clinics, he specialises in "stress and its effect on the body" and used effective mind-body approaches. Currently he is working on a number of projects internationally, including an Ayurveda dictionary, an interactive online health training software, an International "Ayurveda story telling" exhibition material and an Ayurveda eco-health farm in Australia. He is part of a vibrant Ayurveda community with passionate professionals and participants in Australia. When he is back in Trithala, his Kerala village with his 8 year old daughter, he still performs his traditional duties - helping his mother making garlands for their local temple deities. Dr. Suvarna Nalapat, daughter of K. G. Karunakara Menon, (erstwhile social-political leader of the Gandhi-Kamaraj era, and deputy speaker of R. Sankar Ministry) is an author, philosopher, poet, educationist, orator, musicologist and pathologist. Her other interests are in astronomy, literature, archeology, history, psychology and social sciences. Her mother belongs to the Nalapat family, an illustrious family of writers, thinkers and philosophers. Dr. Suvarna believes that there is no caste, creed or gender difference for the God, and that to love God is to love the entire cosmos with all its living and nonliving beings. A powerful advocate of Advaita philosophy, she explores the human and cosmic mind, finds out the harmony in it and gives harmonious music (Raga of South India) as a panacea for all the illnesses of human race. She is also the retired Prof and HOD of Pathology in Amrita Institute at Cochin. She is an advocate of value-based education and has a Vision of a model health village scheme for the nation. Dr Nalapat is an advocate of music therapy; she uses Indian classical music for Raga chikitsa. Music improves quality of life. She composed 72 melakartha ragas in Malayalam, for the first time in the history of Carnatic music in Kerala. For therapy, she uses the voices of Padmabhooshan Dr .K.J.Yesudas and Dr Bhuvaneswari. 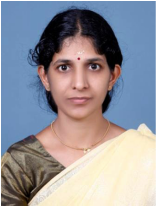 Dr Suvarna Nalapat has authored the commentary of Varahamihira's Pancha Sidhanthika (a classical text written in AD427). This is an ancient treatise which gives the oldest systems of astronomy in India, namely Paithamaha sidhantha, Vasishta sidhantha, Poulisa sidhantha, Romaka sidhantha and Suryasidhantha in order of antiquity. 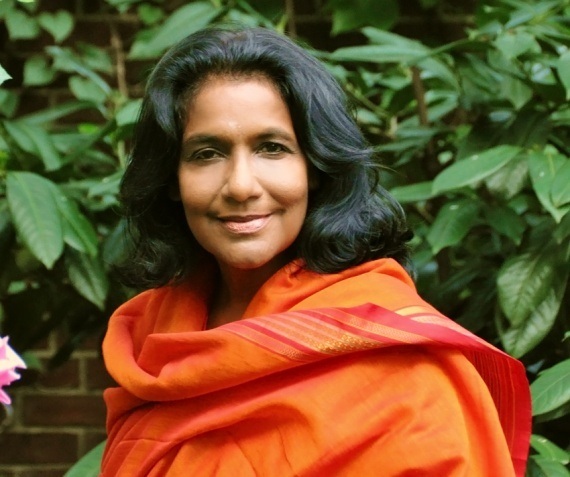 Dr Suvarna Nalapat’s work opens to a world of Jnana (wisdom), Karma (profession) and Bhakti (love or devotion), with the message that the bio-energy of the living things and the cosmic energy of the entire Universe is one, and one has to love and respect the entire living and nonliving world to have peace on earth. 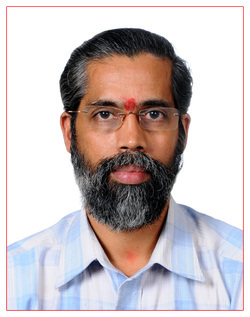 Dr. Sasidharan BAMS, MD born in June 1952 is an eminent physician, educationist and researcher in Ayurveda. He started his career as a Tutor in Govt. Ayurveda College Trivandrum, where he had studied. He went onto become the vice principal of the Ayurveda College Coimbatore. Later he joined as Reader in the prestigious SreeSankaracharya University of Sanskrit Kaladi in Kerala. After relieving from the academic posts, he served as the Medical superintendent and research director of Keraleeya Ayurveda Samajam hospital and research centre in Shoranur, Kerala and later joined as Medical superintendent in Kerala Ayurveda Ltd Aluva,Kerala. He has visited abroad for conducting series of lectures on Ayurveda under the invitation of various foreign organisations .He is the recipient of the BHISHAK RATNA AWARD 2006 and is the health panel executive, Confederation of Indian Industries (CII) Chennai. Presently he is also the Principal of Nangelil Ayurveda Medical college, Kerala. And he is also the Chief Physician at his Sreepadam Ayurveda Chikitsalayam in Kerala. Dr. Ram Manohar BAMS, MD is an Ayurvedic Physician by training with a post graduate degree in Dravya Guna in Ayurveda. 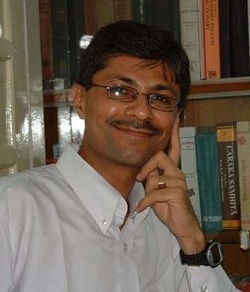 He is presently the Director and Chief Scientific Officer of the AVP Research Foundation, an initiative of the Arya Vaidya Pharmacy Group of Institutions, recognized as a Scientific and Industrial Research Organisation by the Ministry of Science and Technology, Department of Scientific and Industrial Research, Government of India. He has been engaged in Clinical Practice Outcomes Research since the past ten years with a view to identify the best practices in the field of Ayurveda. He was the Principal Investigator on the Indian side of the National Institutes of Health, USA funded research project to scientifically evaluate Ayurvedic clinical interventions as practised in India. This study compared Ayurvedic treatment and Allopathic treatment for rheumatoid arthritis employing a randomised double blind placebo controlled study design. The study won the prestigious “Excellence in Integrative Medicine Research Award’ for best clinical research paper from the European Society of Integrative Medicine. Ram Manohar is also engaged in ethnographic and epigraphic study that investigates into the traditional practitioners of Ayurveda and the rich collection of palm leaf manuscripts. He has spearheaded the first online indexing service for research articles published in the field of Ayurveda called DHARA, which is the most comprehensive database of published research in the field of Ayurveda. He has made research visits and lectured as well as presented papers in different parts of the globe. He is also teaching faculty at European Academy of Ayurveda, Germany, University of Essen in Germany and Southern California University of Health Science, Los Angeles, California. He has contributed chapters to books published by international publishing houses like Reaktion Books and Springer and is co-author of important research papers. He has served as Member of Central Council of Indian Medicine, Research Advisor to Indian National Science Academy, New Delhi and several other committees of the Department of AYUSH, Govt. of India. He has been actively involved in the dialogues and debates related to the positioning of Ayurveda in the realm of Integrative Medicine. He has published several papers and chapters on Ayurveda in journals, books and publications worldwide. Speaks on: Ayurveda: The multi dimensional approach to healing (how Ayurveda blends Yukti vyapasraya, Daiva vyapasraya and Satvavajaya). Dr J M Sampath is a life coach with over two decades of experience in management consulting and leadership coaching, with Vision, Values, and Learning as the cornerstones. Nurtured and transformed over 25,000 individuals from organizations in different countries, including India, Indonesia, Malaysia, Oman, the United States, UAE, and Sri Lanka. Proven expertise and experience in influencing high-profile business leaders and decision-makers Consulted with leading business houses, governmental agencies, public-service sectors, and not-for-profits across the world. Extensive experience in coaching business and social entrepreneurs, and nurturing for-profits and social start-ups. Architect of developmental frameworks and assessment instruments for organizational and individual excellence and innovation: The DNA of Decision Making, The Excellence Framework, The Vision Values Instrument, and The Values Profile Instrument. Originator of www.Storycard.in, a patent-pending endeavor that aims to promote human and moral values. Author of three books, namely Discovery, Inner Realities, and How Full is your cup? Managing Director of Arpitha Associates Pvt. Ltd., a Centre for Excellence with offices in Malaysia, Singapore, and India. Presented at several international conferences and seminars (such as AHRD, KAHRD, NHRD, IFTDO, TLC, AOM, NIPM, APERA) to audiences from diverse cultural backgrounds. Dr Parvathy K P, PhD (Sanskrit). Dr Parvathy is Asst.Professor of Sanskrit at Kalady University, and is passionate about the language as well as all Indian Knowledge Systems. She hails from a traditional Nambudiri family, and she took her Doctorate in Sanskrit from Sree Sankara University, about Vedic Etymology and Semantics. 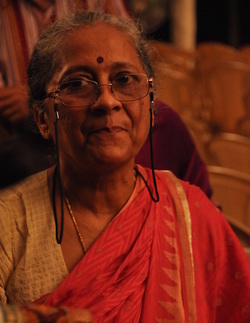 She is Guest Faculty at the Kerala Kalamandalam as well. Dr Parvathy has presented at International and National Conferences on Sanskrit, and had authored a book about the linguistic approach to Vedas and Sanskrit. Her other special interests lie in Vedic Studies, Music as well as traditional chanting of Rgveda, a diminishing art, for which she is greatly acknowledged and appreciated. Shri. Palakkol Praveen Namboothiri. Shri. Palakkol Praveen Namboothiri hails from Palakkol Mana in Palakkad, and has an Electronics Engineering Diploma to his credit. In addition to his teaching and managing experience in Electronics for over ten years, he has gained experience in the auspicious world of Mantra and Pooja for the last 25 years. He learnt Pooja , Tantrik Kriyas, Kshetra Prathisha Kriyas , Homams , Prasna Parihara Kriyas etc under his Guru, Tantrikacharya Brahmasri Panavur Narayanan Namboothiri and elder brother Palakkol Narayanan Namboothiri. Praveen Namboothiri s family has specialised in traditional Tantrik Kriyas . For the last 10 years, he has been conducting Poojas and Homams individually by applying his own views and experience, yet without deviating from the tradition. He gives importance to the devotees, and deems it important to make them understand about the traditional, scientific, practical application as well as the inner aspects of Pooja. The learning continues, and he is studying deep about different “Ganapathy Homams“ ; after careful homework and with guidance from Acharyas, he has been conducting varied Ganapathy Homams like “Rna Mochana Ganapathy Homam“. Dr. P.M. Sreedharan Nambudiri was born in an illustrious Puthukkulam Mana in Payyannur, Kerala. Dr Sreedharan got the best exposure to Astrology, Vedas, Poojas and even health care in relation to Astrology, from his scholar-guru father Shri. Puthukkulam Ganapathy Nambudiri. This family has been instrumental in combining the astrology systems in Kerala and Tamilnadu; they popularised the prediction aspect of Vedic Astrology, namely Prasna Margam and Sankhya Jyothisham. With his strong lineage, Dr Sreedharan Nambudiri took lessons of Astrology also from Shri Samkaran Nambudiri, of Mantra and Tantra from Vasudevan Nambudiri, and of Tamil Astrology from Shri. Bhaskaran Nair. He has teaching experience from school to University levels, and offers untiring service to the growth of Indian Knowedge Systems. His contributions are in terms of writing and editing journals, and his scholarly thoughts and ideas are greatly appreciated. Dr Sreedharan is also fine tuning the system of Samaradhana Poojas, making the rituals completely meaningful in all senses, adding all the nuances and subtleties of Indian Knowledge Systems. 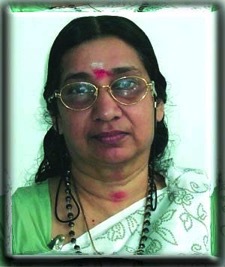 Dr S Bhagyalekshmi, born in Trivandrum - South Kerala, has a Doctorate in Music and post graduation in Astrology to her credit. She has been performing Carnatic music concerts for over 40 years now, performs in radio and television, while also being a high-grade auditioned artist of All India Radio. She has authored more than 30 books about Music, in both Malayalam and English. She guides Research scholars, and has received many prestigious awards and fellowships including from Govt of India. She studied, practices and presents on Music Therapy as well, and her audio CDs and video CDs are highly appreciated. Kanippayyur Krishnan Namboodiripad. Vasthu Sasthra is the science of spaces, the science of flow of air and energy in buildings. Legend has it that Kanippayyur Mana had been blessed by the Sage Parasurama, one of the avatars of Lord Vishnu. Into that family were born great men of erudition and vision. One such person is Kanippayyur Krishnan Namboodiripad. He was the grandson of the doyen of Vastu, Kanippayyur Shankaran Namboodiripad, who was a scholar par excellence in the Vedas, Astrology, Astronomy and Vastu. In fact considering what he has achieved we can say that he is a legend in his own life time. He has put his knowledge into practice extensively across India and abroad. Some of the significant awards and recognitions came to him at different stages of his career. Dissemination of knowledge has been a continuing tradition in the family. The Panchangam a press founded by his grandfather over 90 years ago, has been publishing books on the various Indian Knowledge Systems and spirituality. 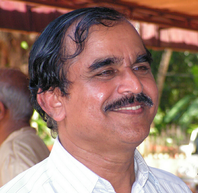 Krishnan Namboodiripad himself has authored several books on Vastu Shastra. He travels across the globe propagating this unique wisdom of India, and has become a name almost synonymous to this rich tradition of Vastu today. 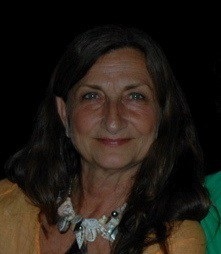 Margaret Mahan has been a student of classical Indian subjects for over 30 years, most especially in Jyotisha, Hasta Samudrika and Vaastu under the guidance of the remarkable Hart de Fouw, and in Ayurveda by Dr. Robert Svoboda, both of whose vast knowledge, compassion and patience Marga has been blessed to receive. She is presently studying Samskrta and Vedanta at Arshavidya Gurukulam under the direction of Pujya Swami Dayananda. 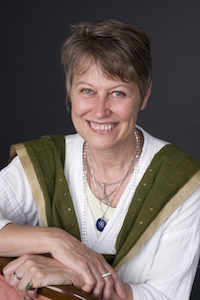 Margaret practices and teaches Jyotisha, Palmistry, and Vaastu, from her home in Vancouver, Canada and now in India. Margaret has been a senior executive in Colleges in Canada, a consultant to governments and community organizations in sustainable community development, change management and Enterprising Non-Profits, a concept which she launched in Canada almost 20 years ago. She holds a Masters degree in Public Policy and a graduate diploma in Public Administration. Dr. Jim Ventresca, D.O.M., Lic. Ac., Dipl. Ac. Dr. Jim Ventresca has trained thousands of healthcare practitioners in acupuncture and Oriental medicine, including chiropractors, medical doctors, Ayurvedic practitioners, acupuncturists, students, nurses, and other health care professionals. A 1984 graduate and past faculty member of the New England School of Acupuncture, he was among the first group of acupuncturists in the United States to achieve National Board Certification as a Diplomate of Acupuncture. 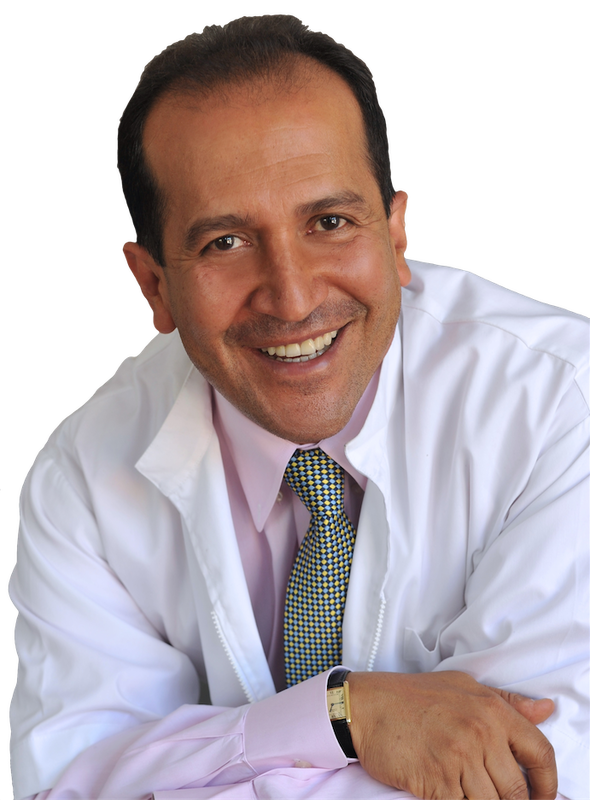 Dr. Ventresca also holds licensure as a Doctor of Oriental Medicine. 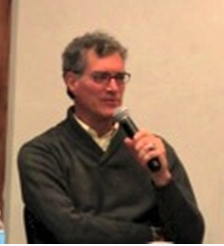 In addition to practicing in busy clinical settings and teaching acupuncture since 1984, Dr. Jim is a co-founder of a publicly funded HIV/AIDS and Substance Abuse Treatment Center, has served on the Faculty of the International Academy of Medical Acupuncture, and as the Medical Director for Integrative Medicine at HealthSouth Rehabilitation Hospital, in Albuquerque, New Mexico. Dr. Jim served as Academic Dean for Southwest Acupuncture College from 1995 through 2001, where he also held the positions of Campus Director and was a Full Professor of Acupuncture and Oriental Medicine through 2008. 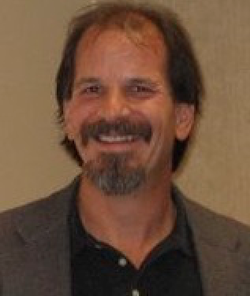 Dr. Jim is currently the Director and Principle Instructor for AcuPractice™ Seminars, providing training in acupuncture and Oriental medicine to doctors throughout the United States and abroad. 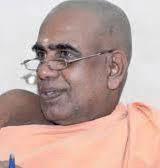 Dr Sivakaran Namboothiri is son of Vedacharya (late) Thottam Subramanian Namboothiri, and in his family tradition, he got training in Samaveda, Upanishads, Sanskrit at a young age itself. After qualifying in Ayurveda Medicine, and Psychology, he got involved in many projects including Medical Manuscripts of Kerala. His activities were manifold including developing new Ayurveda medicines after clinical study, to bring ritual coordinator of the Hindu ceremony Athirathram. Dr Sivakaran Namboothiri got training in Ayurveda institutions across Kerala, and he worked as Vedic teacher and Yoga teacher also, along with being Ayurveda Vaidya. He is the chief physician of Sreedhary Ayurveda Center, where traditional Ayurveda treatments are done scientifically. He has articles on Ayurveda, Vedas, Upanishads and literature to his credit; and his interest spans between panchakarma therapy, research on Ayurveda medicines, as well as Indian philosophy. While his professional journey continues thus, he aims to start research in Vedas and Vedic rituals. 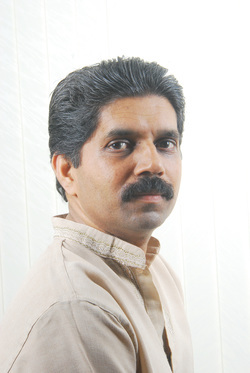 Girish Namboothiri. Hailing from a renowned Namboothiri family in Kerala, Girish Namboothiri acquired Jyotisha Bhooshanam from Astrological Research Institute learning Vastu sastra as well. He qualified in Engineering as well, and had expert guidance of Shri. 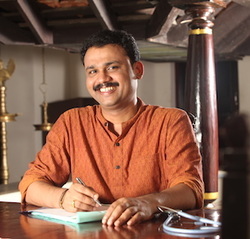 Vasu Achary in Kerala Vastu Sastra. His learning continued in fields of psychology, creative writing, computers etc as well. Keeping to the Namboothiri tradition, he follows the dharmic, Vedic and Pooja traditions. He got trained in temple rituals with the renowned experts Shri. Narayanan Namboothiri and Shri. Sankaran Namboothiri. He got good exposure to Tantra and its rituals too with Shri. 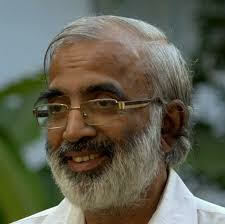 Thanatos Vasudevan Namboothiri, and has been assisting him in the poojas for the last few years. He has learnt the 'Karma Vipaka Prayaschita Vidhi' about the corrective Pooja ceremonies, from the pioneer Shri. Nayam Vamana Namboothiri; and he has got Bhagavatam Tatva Upadesam from Meledam Narayan Namboothiri. Girish Namboothiri is also involved in a study for finding practical solutions for health problems of mind and body, by integrating the medical sciences with Indian Knowledge systems as astrology, mantra, Vastu, Ayurveda. He has written scientific papers on these topics, and continues his learning in Vedas and Tantra as well. 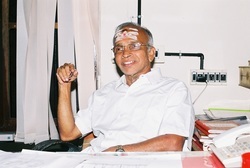 Dr. K. P. Muralidharan. Graduated in Ayurveda from Kottakkal Ayurveda College in 1977. After practicing for 3 years in Kerala entered teaching profession in Coimbatore Ayurveda College. Worked there as teacher and Principal till 1999 and joined SJS Ayurveda College near chennai as Principal. Now, professor at PNNM Ayurveda College, Shornur, Consultant at K A Samsajam Hospital, Shornur and Veda Nursing Home, Omallur, Member in Research Advisory Committee, Center for Indian Knwledge Systems, Chennai and in Expert Adjunct Clinical Faculty, IAIM, FRLHT, Bangaluru. Has worked in capacities like member, president and chairman in bodies like Board of Studies, Faculty, Senate, Standing Academic Council, and Board of Management in SCSVMV Deemed University, Kancheepuram, Tamil Nadu Dr. MGR Medical University, Chennai, Madras University and Bharatiyar University, Coimbatore. Served in Advisory Committies of researches at AVREFA Coimbatore, Ayu – soft Project, C – DAC, Pune and made presentations in several national and inter national conferences. Dr. K. S. Charak hails from a rural background, from a small village in Jammu and Kashmir, India. Dr. Charak's grandfather was a highly religious man, and perhaps the first educated person in his community. Both father and grandfather were well versed in Urdu and Persian. Knowledge of Urdu helped Dr. Charak too especially in understanding the principles of Varshaphala. In fact, most of the horoscopes that he cast before the age of twenty-five were made in Urdu language. Dr. Charak is a practising surgeon in Delhi. He obtained his medical degree and a specialisation in surgery from Delhi University. He taught Anatomy in Maulana Azad Medical College in Delhi, before proceeding to the UK where he qualified for the Fellowship of the Royal College of Surgeons. Dr. Charak completed an additional WHO Fellowship in Onco-surgery. Dr. Charak joined the ESI Corporation in as a specialist and head of the department of surgery in the ESI Hospital. After retirement, he is Senior Consultant and Head of the Department of Surgery in Indian Spinal Injuries Centre, a prestigious institute in South Delhi. Astrology has remained a hobby for Dr. Charak since childhood. He has several books about Vedic Astrology to his credit; there are also Lifetime Achievement Awards and recognitions that have sought him. Dr. Charak says that he feels there is some more life left to achieve a little more, God-willing. Dr. Charak's additional hobbies have included photography, chess and mountaineering. He is involved himself in a more benevolent humanitarian work dedicated to the service of the ailing and the needy. Dr. Eduardo Cardona-Sanclemente is a Fellow of The Royal Society of Medicine (UK). His career spans professorships and senior teaching and research posts at some of Europe’s most distinguished medical schools including Institut Pasteur; Salpêtrière Hospital; Institut Biomedical des Cordeliers, France; University of Perugia Medical School, Italy; King's College, and St. Bartholomew's Hospital Medical College, London, UK. After graduating in Medical Sciences he completed his Masters in Clinical Biochemistry, his PhD in the mechanism of neurotransmitters and his Doctor of Science (Docteur d’Etat) in Physiopathology of Nutrition at the Sorbonne. He has a Masters in Ayurvedic Medicine from the Middlesex University, London; with internships at AVP Hospital, Coimbatore and Udupi (India) where he holds Visiting Professorships. He is the Research Committee Director of the Ayurvedic Practitioners’ Association (APA, UK) and Member of the National Ayurvedic Medical Association (NAMA, USA), Member of the NHS Directory of Complementary & Alternative Practitioners, and The College of Medicine (UK). He is currently lecturing at the Pierre and Marie Curie, Sorbonne University, Paris and is an Ayurvedic Practitioner based in London. "A clinical case in correlation with the Grahas". 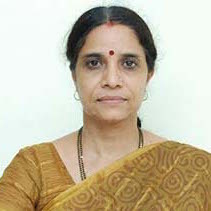 Dr. Manjiree Vikas Gokhale. Born in Maharshtra - India, Dr Manjiree Avinash Gokhale is a musician par excellence, with diverse qualifications as Doctorate in Music, trainings in Naturopathy, Ayurveda, Acupressure, Bach Remedies, Reiki, Sound Healing, Kriya Yoga, Swara Yoga, Astrology, Mantra Therapy. Dr Manjiree has experience in research work on Yoga for Voice Culture, yoga for regression therapy. She teaches Music in various music schools across the globe, and performs at devotional/ semi classical and light music concerts. She has authored books on a voice Tantra, mantra yoga as well has penned poetry in Marathi and English. Dr Manjiree is founder trustee of Saunvad Center for Music and healing, working for awareness and healing with holistic techniques, energy, medicine, music, and it's philosophy. Dr. Arati PS B.A.M.S., M.D. Dr Arathi P S graduated in Ayurveda from Mysore University, and qualified her MD in KayaChikitsa from University of Kerala, both where she was awarded the best student and for presenting the best thesis. She has also attained diverse qualifications like a Diploma in German as well as a PG Diploma in Human Resource management. Her professional experience includes being a Professor and later Principal at Coimbatore Ayurveda college, as well as Shantigiri Ayurveda college. She was also served as medical director in Ahalia Ayurvedic Hospital. Dr Arathi s knowledge and experience gained her other positions as Member of the Senate, The Tamilnadu Dr. M.G.R. Medical University as well as Member of Board of Studies, Kerala University of Health Sciences. She was Convener of the National Workshop on Ayurvedic Management of Chronic Disorders and the Concept of Free Radicals held at Ayurveda College, Coimbatore. She is Member of the Review Board to monitor the Research activities being conducted at Arya Vaidya Trust, Coimbatore. She is also Guest lecturer for Training Programme for Medical Practitioners in Panchakarma at the Central Research Institute, Cheruthuruthi. She has led research projects, and guided projects on different aspects of Ayurveda; Dr Arathi has presented papers on health and Ayurveda in various national seminars. Sashikala Ananth Shashikala holds a degree in architecture from the School of Architecture, Madras University. 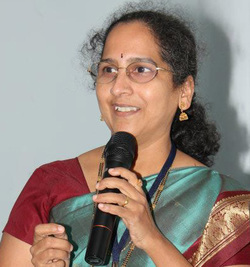 Sashikala has researched the classical Indian science of Architecture – Vaastu, for over thirty years. She was a student of Sri Ganapathi Sthapati, a leading authority on the Vaastu Shastras. She was part of a team that made the 1991 award winning film A Shilpi Speaks that explains the traditions of the sculptor. Her other books on Vaastu are, The Indian Tradition of Design Based on Vaastu Shastras, A Penguin Guide to Vaastu, and Vaastu- a Path to Harmonious Living (Roli Books), and an English translation of Pratimamana Lakshanam a book on iconometry by Sri Ganapathi Sthapati. Sashikala has studied the Vaastu texts extensively, assimilating traditional wisdom and exploring its field application. She now lives in Kotagiri where she works on projects incorporating the wisdom of Vaastu in creative and harmonious ways with the modern lifestyle. She and her husband are in the process of setting up a meditation centre in a small village outside of Kotagiri called Konavakarai. They will be continuing their work with teaching and training young people on the path of Yoga & Vaastu. Vaidya Rajesh Kotecha is an Indian Ayurveda physician who received Padma Shri Award for Medicine in 2015. He is the Vice Chancellor of Gujarat Ayurveda University, Jamnagar. 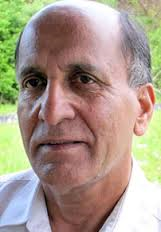 He founded the Chakrapani Ayurveda Clinic & Research Center in Jaipur, India in 1998. He is a member of the Advisory Panel to the CCIM, Department of AYUSH. 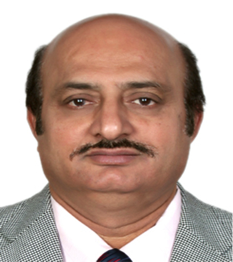 Rajesh Kotecha completed his Bachelor of Ayurveda Medicine & Surgery from Gujarat Ayurveda University in 1985 and Doctor of Ayurveda Medicine from Gujarat Ayurveda University in 1991. He is the author of the book Concept of Atattvabhinivesha In Ayurveda which discusses minor psychiatric disorders in Ayurveda parameters. He received the Global Ayurveda Physician Award in 2007. Dr. Vijith Sasidharan joined Ayurveda studies, after being disappointed with the materialistic approach of modern sciences. He was trained traditionally in the martial art form Kalaripayatt and Yoga from a young age. Dr Vijith was involved in a research project called PADAM at AVP Coimbatore, to study the living traditions of Ayurveda in Kerala under the guidance of Dr. P. Ram Manohar. He served as a resident at Poonthottam Ayurvedashram and learnt about variety of approaches in physical treatments in Ayurveda under the able guidance of Dr. P.M.S. Raveendranath. He founded the Sreekrishna Ayurveda Chikitsa Kendram with the motivation of preserving the value based authentic practice of Ayurveda through treating & teachings. 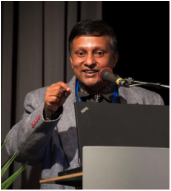 He is faculty member in Seva Ayurveda Academy, Germany and Academy of Ayurvedic Studies, Netherlands. Dr.Vijith organises internship programs for students from Netherlands and France after their 3 year training program there. Dr.Vijith has also developed video study material in English on the first 15 chapters of Ashtanga Hrdayam for the western students. Dr Dinesh K S is an accomplished practitioner with a, outstanding academic record, and an evangelist of Ayurveda with extensive clinical and research experience. He has practical experience with proven expertise in the management of autism, cerebral palsy and infertility. He is actively engaged in the propagation of an Ayurveda that is based on ethical concepts and practices. Dr Dinesh is Assistant Professor in the Department of Ayurveda Paediatrics at Kottakkal Ayurveda College, Kottakkal. His career roles spanned a wide range of functions covering academics, research and clinical practice in Ayurveda, including being Clinical Registrar at Gujarat Ayurved University for two years. He is a Resource Person for PrasarBharati (Akashvani Radio) on different health aspects. Dr Dinesh has presented at national and international seminars on Ayurveda, and has published a text book and several research-based articles on Ayurveda.The below list gives a sample. Dr Sasikumar Nechiyil completed his Ayurveda graduation at Kottakkal Ayurveda College, and his MD [Rasa) at Gujarat Ayurved University, where his thesis was on the​‘Preparation of Agnisthayi Hingula and evaluation of its Antipyretic property' under the guidance of Dr. Harisankara Sharma.He has gained his knowledge, learning with ​Sri. Late. 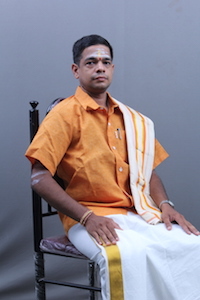 Krishnankutty Vaidyar, Sri. Late. Abu vaidyar, and Sri. Rajkumar Asan also. 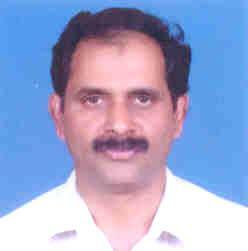 Dr Sasikumar is the Chief executive of Sidheswara drugs, and is Chief Physician of Nechiyil Ayurveda Vaidyasala. His experience is also in teaching of Ayurveda in various Ayurveda colleges in South India; he has also served as Member of the G.M.P framing committee of Government of India, AYUSH- Delhi. He has visited Nagoya and Osaka- Japan for conducting a series of lectures on Indology, as per the invitation of “Aihora prathishtanam, Osaka”, an Indo Japan social relation society. Dr Sasikumar has also lectured and consulted at ISKON, Singapore. He has published two much-appreciated books on Indology, alongwith Dr. Masahide Aoyama. Shri. Ravunni Panicker Kuttan Panicker alias Ravunni Panicker hails from the renowned Jyotisha family, Koottanad kalarikkal, in Kottanad Village, Palakkad district, Kerala. He has gained his name as an Astrologer, Scholar and has been rendering his services and sharing his knowledge for two generations now. He is the President of TIR Institute of Astrology, devoted to practice and propagation of traditional astrology. He is also the Principal of Guruvayur Jyothisha Vidyapeetham. He has authored a book named Hora Sastra Pathamadai, which is an apt interpretation of Hora Sastra. 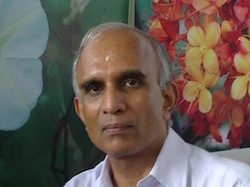 Dr K T Vinod Krishnan. Dr Vinod Krishnan has more than 25 years of experience in Ayurveda practice and medicine production, after having graduated in Ayurveda from Kottakkal Ayurveda College, and completing his MD in Panchakarma from Rajiv Gandhi University in Bangalore. He is the Chief Physician of Amiya Ayurveda Nursing Home and Research Center in Kerala; and is Managing Director of Devayana Ayurveda Medicines. He has published several articles in Ayurveda journals, and has presented papers on different aspects of Ayurveda treatments. He is also a technical expert for ISO certification. 1. Last resort medical treatment at religious sites in India. Many medical problems that go undiagnosed in both biomedical and Ayurvedic clinics are eventually diagnosed in sites of religious healing as unmāda, madness, or āveśa, bhūtāveśa, bhūt-bādha, etc., or possession by a spirit or deity. The classical Ayurvedic texts describe this in detail as do many second millennium Tantric texts. But actual treatment is now limited to only a very few ayurvedic treatment centers and sites f religious healing, including a few Hindu temples (for example, Balaji in Rajasthan and Chottanilkkara in Kerala), Muslim dargahs (for example Husain Tekri in Madhya Pradesh and Nizamuddin in New Delhi), and Christian churches (notably St. Anthony churches in South India). What was once canonical within Ayurveda is now within the domain of "folk healing." This is probably as it has always been, however. I will describe some of these practices, the ayurvedic diagnoses and treatments, and the healers and their traditions. 2. Karmavipāka The word karmavipāka means the "ripening of karma." This basic term became the title of a genre of Sanskrit texts of about 800 years ago that described the nexus of disease, actions (karma) that produced them, medical and ritual treatments, and in some cases astrological configurations that can also be read as reflective or even causal. The material will be drawn from an untranslated Sanskrit text of the 13th century called Madanamahārṇava. This is not an Ayurvedic text but is more within the realm of Dharmaśāstra. Born in a family of Traditional Ayurvedic Physicians with a lineage of more than five generations, was brought up in Tanzania, East Africa, where he had the opportunity to interact with Traditional communities and their life. To keep the tradition of Ayurveda alive in the family, he was trained at home and then at the Ayurveda College, Coimbatore in the Gurukula system of education. Dr Vinod is Founder member & Secretary of Ayurveda Vikasa Kendram, an NGO that established five Ayurvedic Centres in different parts of Kerala, committed to practice and preach authentic Ayurveda. He gained experience and knowledge with practice at Amrithanjali Ayurveda Kendra, Shanthinikethan Ayurvedic Nursing Home, S.G.M. Ayurveda Hospital. In 1994, he joined TBGRI in the division of Ethnomedicine & Ethnopharmacology. Dr Vinod has participated and presented scientific papers in many National and International Conferences, conducted talks in radio & television and also took classes, lectures, training and demonstration on Ayurveda and Ethnomedicine. He has extensively travelled in Bangladesh, Turkey etc as part of the Ethnomedical survey of the traditional communities and documented Traditional Knowledge related to food and medicinal plants in particular. Shri. Vimal Jhajharia. Vimal Jhajharia is a Vastuguru from India, and he was born to a prominent businessman Shri. Nand Kishore Jhajharia. He exhibited an enchantment with Indology even while in School. He graduated in commerce & joined the family business but, it remained a momentary affair. In 1984, on his birthday he got an inner feeling that the life pattern must change, and he found his Guru in Swami Murghanand ji Sarswati. He learnt the art and technique of striking equilibrium by effective use of Pancha Mahabhuta (Five elements). His father continues to advise him on Vastu Shastra & invoked him to study the foremost scriptures like Vedas, Puranas and other holy books and the changing architecture. Thus in 1991, he stepped into professional world with a mission to help attain the bliss or anand for the humanity. He leads the Jagat Jyoti Organization to enlighten the world with Vastu Shashtra. Vimal Jhajharia practices Vastu applications without any modification or demolition. This resulted into great acceptance of his solutions offered to scores of prestigious clients, commoners, business houses, industries around the globe. He has travelled extensively, and he has reached out to the seekers through all forms of media well. 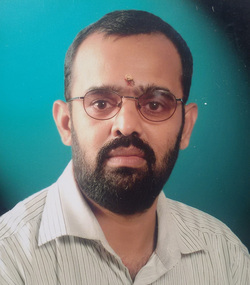 Dr. Gopakumar S. After having graduated as Gold medalist in Ayurveda from University of Kerala, he has two post-graduate degrees to his credit, and is completing his Doctorate. He worked as Lecturer in Dept of Roganidana and Kayachikitsa in Govt Ayurveda Colleges in South India. Dr. Gopakumar has a book-NIDANAM- the objective version of Madava Nidana, to his credit. His other books include COMPETITIVE AYURVEDA- the objective version of Ashtanga Hridaya, Susrutha Samhitha and Charaka Samhita; the objective version of Kasyapa Samhitha and Sarnghadhara Samhitha ; Panchakarma; Saraswatham; Diabetes Mellitus. He has released CD s on Neurological Examinations in VATHAVYADHI; and JWARASAMBHASHA – Talks on Jwara Diagnosis and Management. He shares his knowledge as resource person at various Ayurveda seminars and conferences around the globe, and is a much sought after Speaker amongst the Ayurveda fraternity. His articles are published in various prestigious publications, and he travels extensively. Dr. Gireesh Krishnan hails from a traditional Ayurvedic visha vaidya family, with good experience in treatment and teaching. He is Medical officer with Indian systems medicine, Govt. 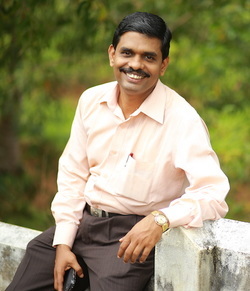 of Kerala; he has also gained experience as Asst.professor and PG Guide at Alvas Ayurveda Medical College, Karnataka; Vice-principal&H.O.D at Ayurveda college Coimbatore; Member, Education Committee of Central Council of Indian Medicine, Ministry of Health and Family Welfare, New Delhi; Member- Senate, Faculty of Ayurveda and Board of Studies, at The Tamil Nadu Dr. MGR Medical University. His research was about Rajatha Bhasma and its Clinical Efficacy In Degenerative Diseases Of Brain, With Special Reference To Parkinson’s Disease. He has presented papers at national and international seminars. 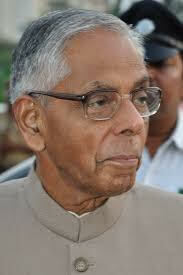 Mayankote Kelath Narayanan was the 24th Governor of West Bengal, a state in Eastern India. He was formerly the country's third National Security Adviser, assuming the role after the demise of his predecessor Jyotindra Nath Dixit in January 2005. Pujya Sri Nirmalananda Giri Maharaj is an enlightened master, a sage in the tradition and an Ayurveda scholar and practitioner who is specialising in deadly and terminal diseases. "Relevance of Ayurveda care in Chronic Ailments like Cancer"
Dr. N.V. Sreevaths B.A.M.S. ; M.D.(Ay). 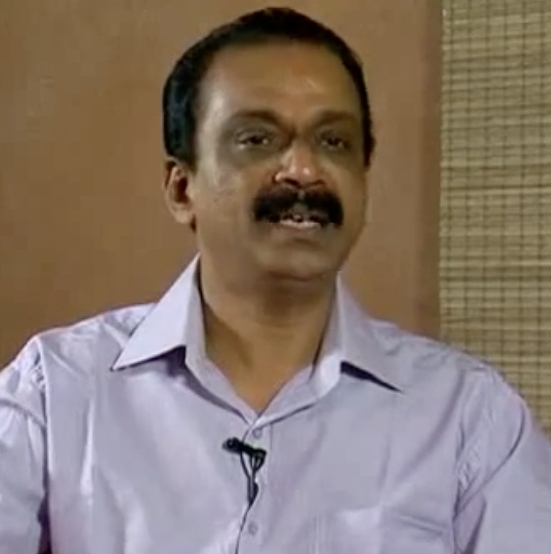 Dr. Sreevaths is a recognized Ayurvedic Physician from Kerala. He did his graduation (Ayurvedacharya) from Vaidyaratnam P.S.Varrier Ayurveda College, Kotakkal in the year 1989. He did his post- graduation (Ayurveda Vachaspati) in Shalya Tantra/Marmachikitsa from Government Ayurveda College, Thiruvanantapuram in the year 1993. Dr. Sreevaths has got vast experience both as a practitioner and academician. He has served in reputed Institutions and Hospitals like Ayurveda College Hospital, Coimbatore, Arya Vaidya Pharmacy Clinic, Palakkad, Kairali Ayurvedic Health Resort, Palakkad The Ayurvedic Trust Hospital, Ramanathapuram, Coimbatore as Marma consultant etc. He has served as Marma Specialist Medical Officer in the Department of Indigenous Systems of Medicine under Department of Health and Family Welfare, Government of Kerala and is at present on leave. Dr. Sreevaths is basically a marma specialist and has made a niche for himself in the treatment of diseases of bones and joints. A perfect diagnosis and prediction of prognosis is what made him a successful practitioner. He has got to his credits of treating cases of I.V.D.P. and spondylosis successfully which were otherwise indicated for surgery. Dr. Sreevaths is well known for his judicial use of treatment modalities. He has developed his own style of oil massage and other Traditional Kerala Ayurveda Panchakarma and Kalari massage treatments and is involved in propagation of Marma Therapy for sports injuries. Dr. Sreevaths is involved in various research activities. He has worked on a medicine - Rasagandhimezhugu in relieving pain in terminally ill cancer patients in the Regional Cancer Centre, Trivandrum.He has formulated more than 20 new combinations for various disease conditions in his practice. He is the Ayurveda editor for the Ancient Science of Life, published by the International Institute of Ayurveda, Coimbatore. Dr. Sreevaths was working as the Principal and Superintendent of the Ayurveda College and Hospital, Sulur, Coimbatore and later as its Director, under the Aryavaidan Rama Varier Educational Foundation of Ayurveda and the Rathnavel Subramaniam Educational Trust. He was also the Professor and Head of Department of Salyatantra in the Santhigiri Ayurveda Medical College, Palakkad afterwards. Dr. Sreevaths was a Member of the Senate of the Tamilnadu M.G.R Medical University and also a Member of the Board of Studies of Ayurveda. He was the President of Faculty of Ayurveda also. 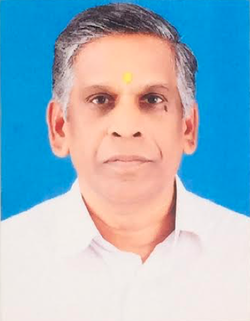 He had served as a member of Board of Studies – Ayurveda –Post graduate – in University of Calicut, and handled confidential jobs as selection committee member, examination board member etc. in the University of Sri Chandrasekhara Saraswati Viswa Mahavidyalaya in Kanchipuram. He had been a member in the interview board of the Union Public Service Commission and Inspection team of the Central Council of Indian Medicine. He is presently working as the Principal and Medical Superintendent at the Rajiv Gandhi Ayurveda Medical College, Mahe under the Government of Puducherry. 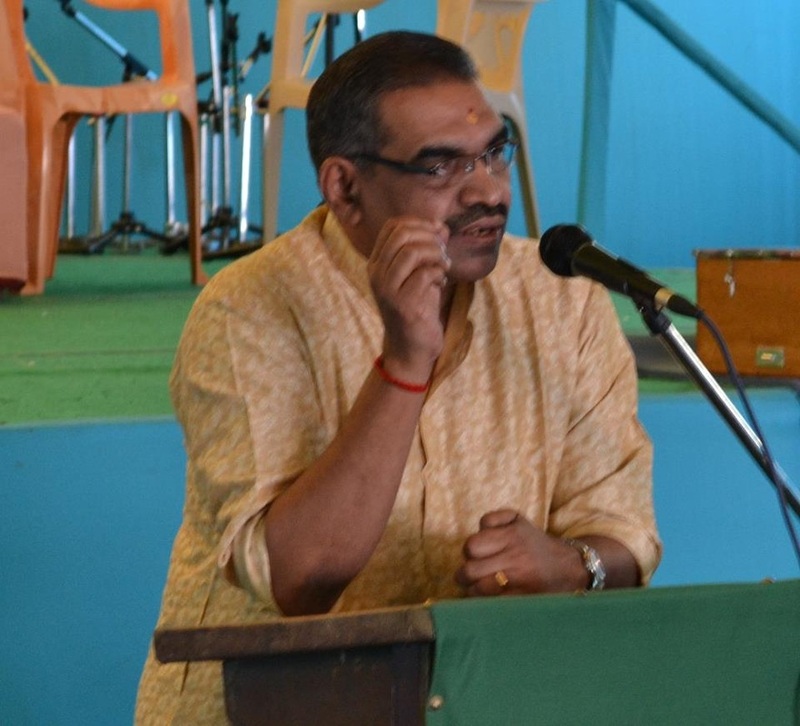 He is the Chairman, Board of Studies of Ayurveda in the University of Pondicherry and also a member of the Board of Studies of Ayurveda–undergraduate-clinical in the Kerala University of Health Sciences. 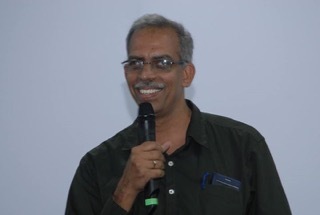 He is honorary director at Svaasthyakshetram Ayurvedic Health Care Centre, Nallepilly and a mentor in the Ayurvedic finishing school – Ayurvedic Research and Training Institute, Nallepilly. He is very keen in the propagation of the Indian medical sciences and in identifying the common strands of thinking among the various systems. Nipun Mehta A healing crisis, is a temporary worsening of symptoms, a necessary evil, that occurs when the body is going through the process of healing. A 'healer crisis', is a worsening of the inner-balance of the healer when going through the conflict of saving a patient's life and attending to one's own livelihood. In this talk Be 'Selfish, Be Generous' Nipun Mehta traces the evolution of Service Space, a movement that challenges the conventional belief that selfishness is also a necessary evil. It began with four friends in the Silicon Valley and has now spread to millions around the globe, and is birthing some radically unique designs. Projects like Karma Kitchen, a restaurant and Life Natural, a week long residential health camp serve people with no prices for their courses; where your bill has already been paid by a previous beneficiary and you are invited to donate for people after you. When our systems rely on our innate kindness towards each other, it unlocks a profound inner transformation that changes our way of being and relating to each other. That inner transformation, coupled with Internet's capacity to connect small, loosely-knit pieces of goodness, gives birth to micro “gift economies” that reconnect ancient values with modern application. Nipun Mehta, will share some of the pioneering experiments of "giftivism", speak about the lessons he's learned from his personal practices, and brainstorm ideas for creating a broader gift culture in our societies. Prof. Dr. B.T. CHIDANANDA MURTHY N.D.(Hyd. ), D.Y., DPPHC., Ph.D. Principal & CMO, JSS Institute of Naturopathy & Yogic Sciences, Navakkarai, Coimbatore. Eminent and Veteran Naturopath of Mother India, backed by 40 years of versatile experience in Research, Teaching, Hospital, Establishment of New Institutions and Administration, both in Govt. and reputed Private Sector in all India Level. Senior most Principal of BNYS Degree Colleges since 1989 and as the Founder Principal of SDM College Ujire. Currently working as the Principal of Fourth College and was the Principal of Jindal PG College Bengaluru. Serving in more than 10 Universities as the Chairman of Board of Studies, Examiner, Ph.D. Guide, Convener of Inspection Committees, Member of Faculty, Chairman of Syllabus Committees etc. Served in Pilani-Rajasthan, Bhiwani-Haryana, Karnataka etc. 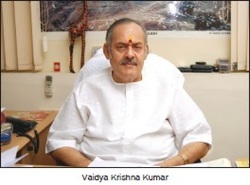 Former Director, National Institute of Naturopathy, Pune and Director (Rtd. ), Central Council for Research in Yoga & Naturopathy, Delhi from 2000 to 2011, under the Ministry of AYUSH. Published more than 100 Articles, 12 Research Monographs, 10 Research Papers in Index Journals. Travelled all over India and China, Australia, Greece, Malaysia, Thailand, South Africa, Germany. Treated many VVIP’s. Karnataka Govt. State Award and Pathanjali Gold Medal. Yoga Sri Award, Mahathma Gandhi Award etc. General Secretary, All India Nature Cure Federation from 1990 to 1994.